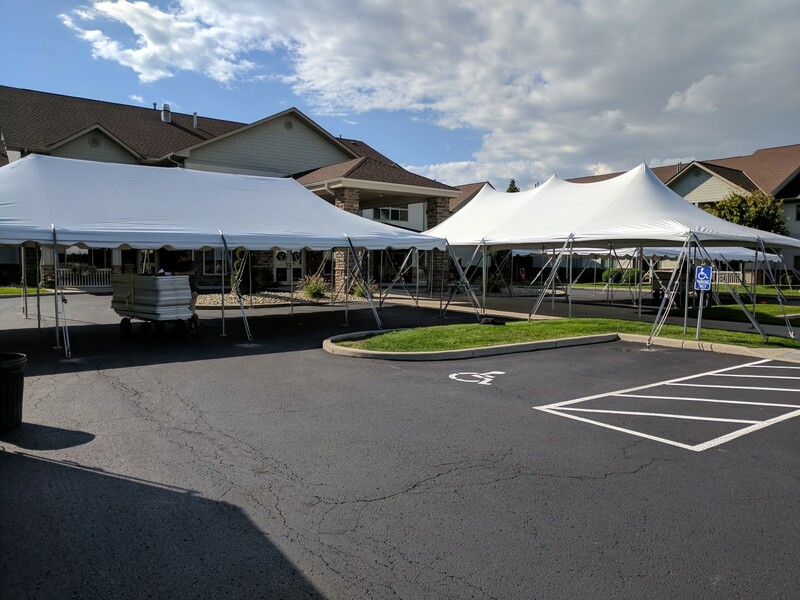 A1 Tent Rentals - Why A1 Tent Rentals? A1 is owned and operated in Findlay, Ohio. When you call A1, you're speaking with someone local who cares about you, your event, and your community… because it’s our community, too. We take great pride in being the absolute best rental company in the region, and we work tirelessly to prove it! We also belong to and support many local organizations, like the Findlay-Hancock County Chamber of Commerce, Findlay Rotary Club, the American Red Cross, Black Swamp Bucks Unlimited, and many more! The cornerstone of our business is YOU! A1 exists to serve our customers, and we pledge to treat you with courtesy, respect, and integrity. That means we deliver the products and services you need at the prices we promise. We understand that you’re counting on us to pull off your big event, and we won’t let you down! We treat your event like it’s OUR event. Book with A1, and then rest easy! In addition to stellar service, we also pledge to deliver premium products. Whether it’s tents, tables, chairs, linens, or specialty items, A1 delivers the best. We keep our inventory clean and in excellent condition, because we know that’s what you need for your big event. And if your event requires setup, there’s no one better than A1. We sweat the small things, so you don’t have to!